Description: This is a real working fishing kit designed just for kids! The set includes a fishing rod that can be lengthened as children grow, a red tackle box, and tackle gear. The fishing pole was designed with safety in mine...the fishing string feeds out of the end of the hollow pole, and the hook can be stored away in a protective cap at the end of the rod. The fishing pole attaches to the top of the tackle box for storage and portability. 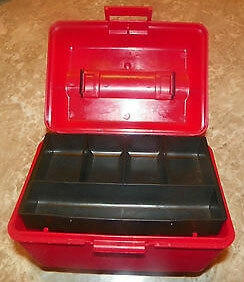 FPT45346 - Red plastic tackle box with a black carry handle on top. The handle is rounded to allow the fishing pole to be attached. The lid of the box has a fish measuring area molded into it with inches on one side and centimeters on the other side. FPT45347 - Black tackle tray that fits inside of the tackle box. This tray has several different compartments to seperate tackle and lures. 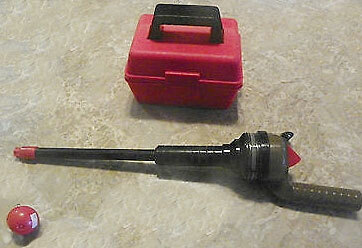 FPT45348 - Black plastic fishing pole with a gray handle and red trim. The reel is part of the pole and handle, and the line feeds out of the center of the hollow pole. 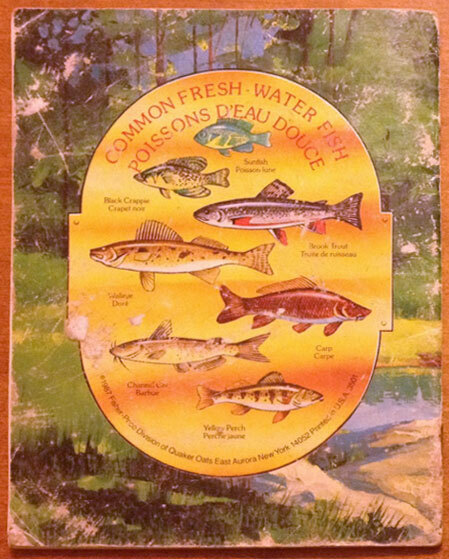 FPT45350 - Soft-cover book called "Fisher-Price Fishing Guide" with instructions and safety tips. FP3501BOX1988 - (BOX ONLY) - This set was sold in a 25-1/2" high, 12-1/2" long, 4-1/8" deep display box. FP3501SET1988 - (COMPLETE SET) - Complete set in original box. 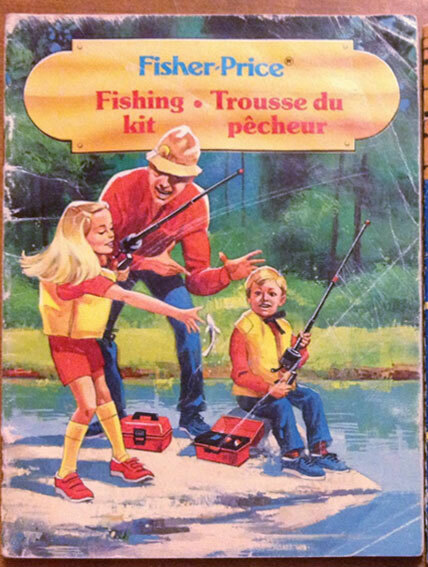 This set was replaced in 1990 with #2346 Fisher-Price Fishing Kit, minus the Fishing Guide.